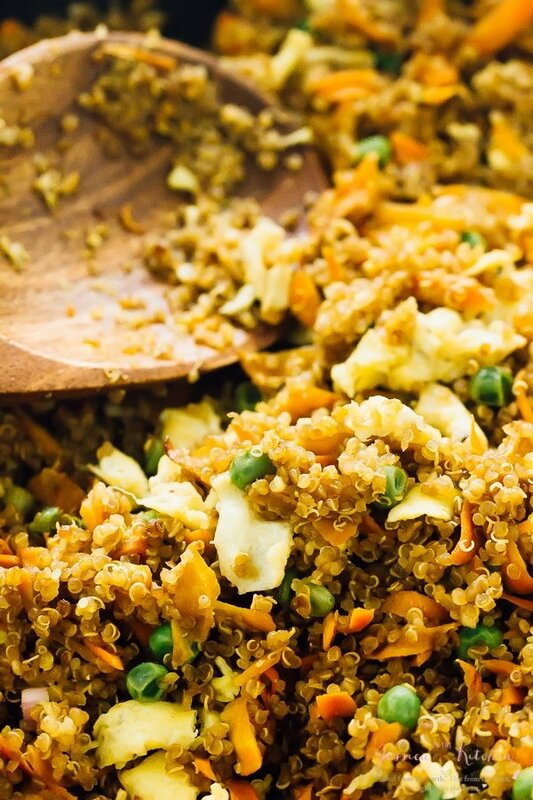 This Healthy Quinoa Fried Rice takes only 15 minutes to make! 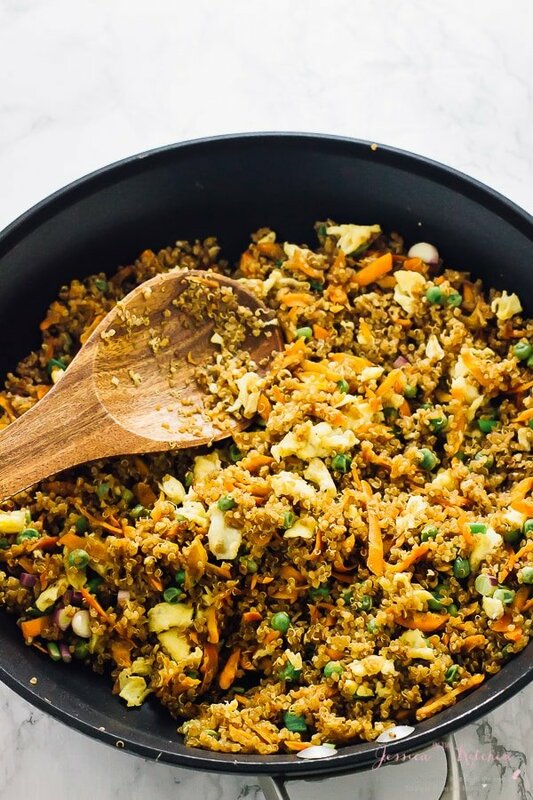 It tastes just like regular fried rice, except it’s healthier, loaded with much more nutrients and foolproof! I have to apologise immediately: it’s a crime that I haven’t shared this quinoa fried rice with you! I’ve been making this way before the Mr. and I even got married, and that’s relevant to mention because friends: this is his favourite dish of mine and says he prefers it over regular fried rice. Yes, the large blinking signs over here are all saying: You need to make this. Fact: I did not plan on this being a healthy recipe. I just kind of fell in love with quinoa a few years ago, and started using it in uh, every single thing on earth. Quinoa for breakfast, quinoa for lunch, quinoa for snack. I haven’t used quinoa for dessert yet, but be sure that a quinoa flour sweet something is in the works in the back of my brain. Back to this quinoa fried rice. Like I said, I started swapping out everything for quinoa, which worked, because I’ve never really been a rice fan. I am however, an undeniable fried rice fan. It was probably the only time (other than sushi) that I actually had rice. Cue me trying quinoa fried rice for the first time a few years ago. I ate it for about 4 dinners straight. If you know me, you know I’m not so big on leftovers (I get bored easily with meals) but this was the kind of dinner that you’re thinking about all day. YES, we all know that one. Back then I used to eat meat, BUT great news: this works as both a side dish AND a main dish thanks to the 7.1 grams of protein in each side serving. Double that for a main dish and you’re having 14.2 grams of protein my friends! P.S., just like regular fried rice, using day old cooked quinoa is crucial to flavour and texture. While my original recipe with fairly healthy, I’ve since reduced the sodium significantly by swapping the soy sauce for tamari, and then for liquid aminos. Let me tell you the joys of liquid aminos: all the flavour, way less calories and sodium, and it’s gluten free. Win, win. 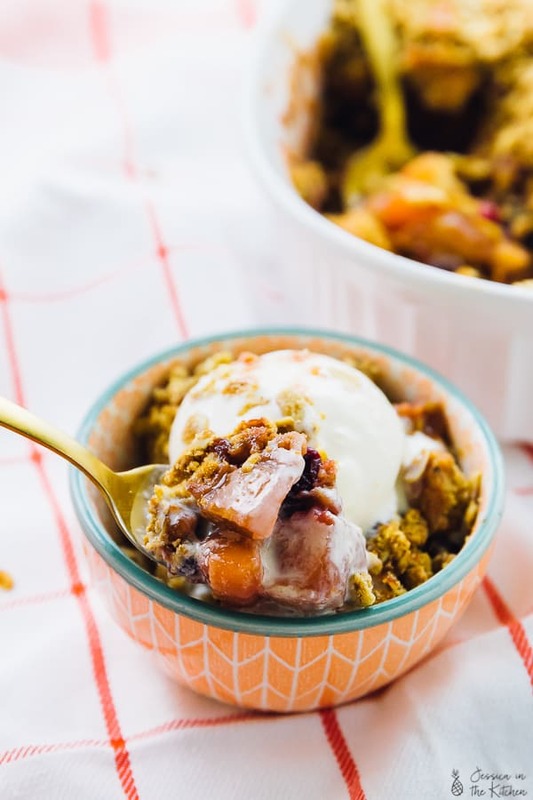 This entire recipe is really filling, delicious, super nutritious (hello Vitamin A, Vitamin C, Iron, Magnesium et al) and will make your weekly list. I actually have some frozen right now because yup, it freezes well also. You now understand my apology for not sharing this early. We can still be friends, right? 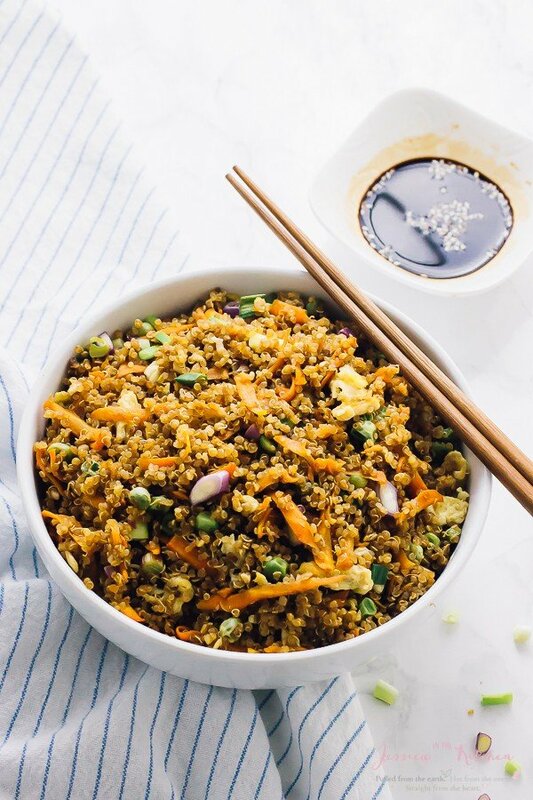 If you try this Quinoa Fried Rice please let me know in the comment section below, or tag me on instagram with the hashtag #jessicainthekitchen! For more exclusive recipes follow me on Instagram AND on Snapchat: jessinkitchen. In a pan over medium heat, add one teaspoon coconut oil. Add in the eggs and scramble slightly with a pinch of salt and pepper (optional), until barely cooked. Remove from pan into a bowl and set aside. Increase heat to high hat and add the other teaspoon of coconut oil and the cooked quinoa. Stir quinoa while sizzling until it begins to brown a bit, after a few minutes. Reduce heat to medium-high and add in the carrots, garlic, frozen peas, liquid aminos and rice wine. Stir to combine, and allow to cook for about 8 minutes until carrots have softened and everything is combined. Add in the eggs and green onions, stir to combine, and remove from heat. Add more green onions for garnish if you desire. Serve immediately and enjoy! If not serving immediately, allow to cook then store in an air-tight tupperware container. Enjoy! This recipe is vegetarian and gluten free. Use a vegan egg substitute or leave the eggs out. You can add pressed tofu instead and sear first to keep up the protein content of the recipe. 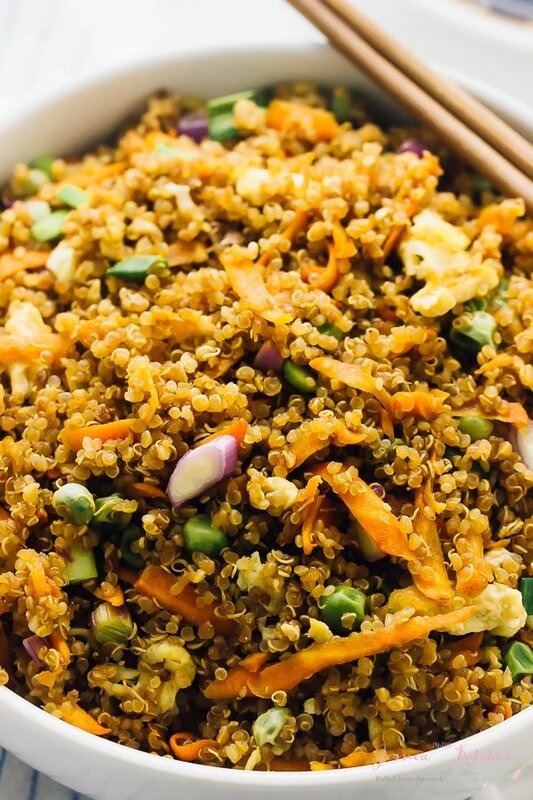 You can store this quinoa fried rice once it has cooled completely in an airtight tupperware container in the fridge for 3 days. Alternatively, you can store it flat in a freezer-safe zipped bag. It should last a few weeks to even a month in the freezer. Quinoa fried rice?! Why haven’t I thought of this before?! Looks SO good, Jessica! I have a feeling I would be making this ALL the time! This looks so delicious and healthy as well, Jess. I love when healthy is also delicious! this looks so good Jessica! 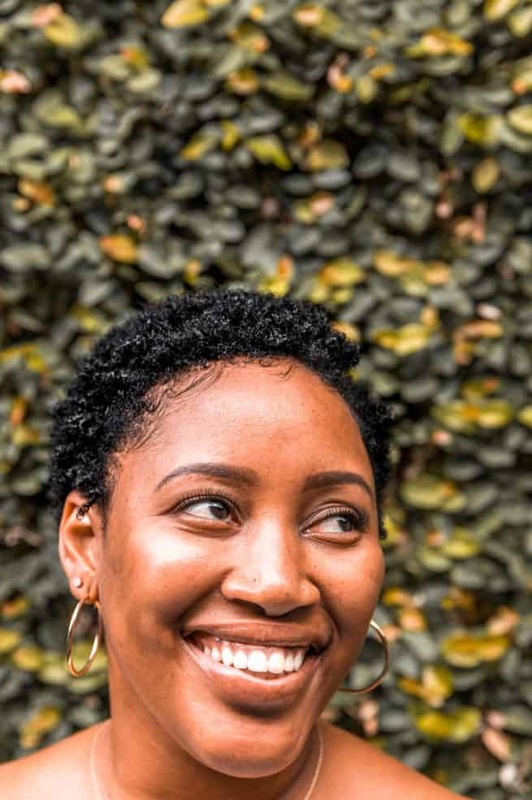 This looks incredible, Jessica! 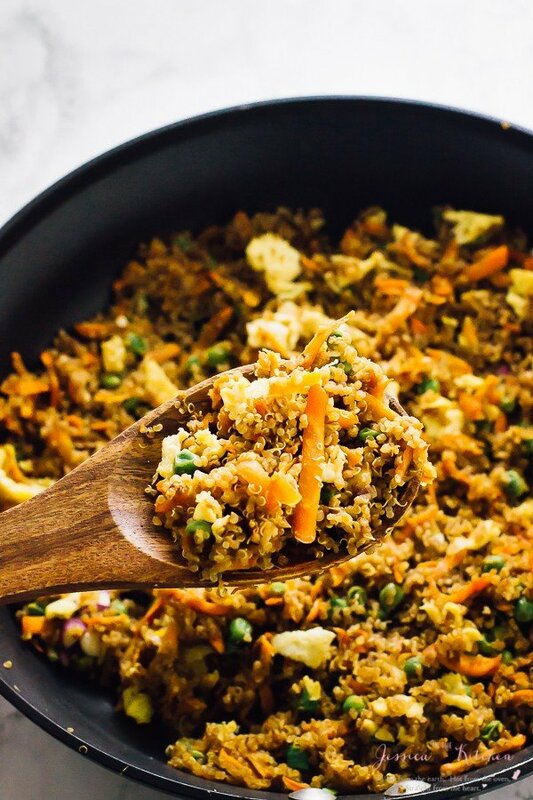 I LOVE quinoa fried rice and totally wish I had a big bowl right now! 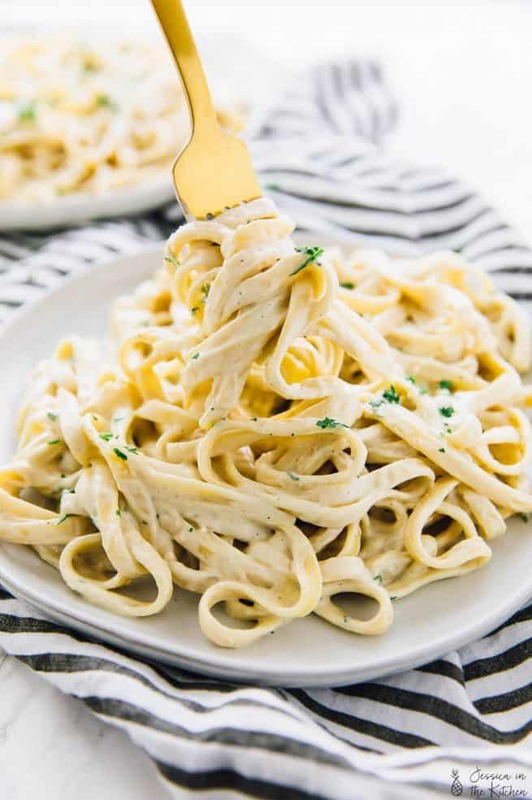 So easy, delicious and perfect for busy weeknights!